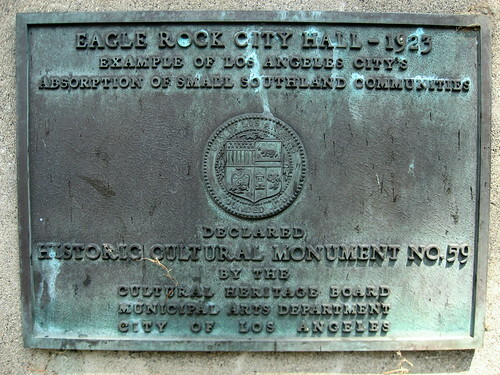 Eagle Rock became a city in 1906 and was incorporated in 1911. 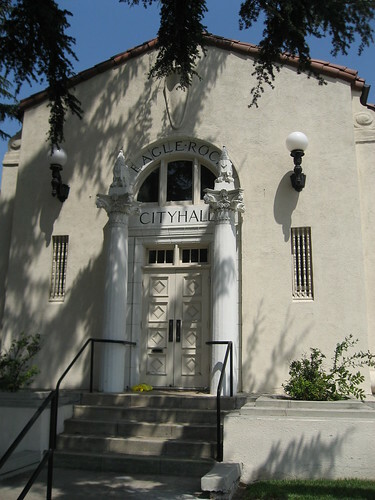 In 1922, the city built this three-story, Spanish-influenced building as its City Hall. (Had I been one of the city fathers, I, too, would’ve chosen a spot for construction just two doors up from The Oinkster.) However, it didn’t stay City Hall for long. 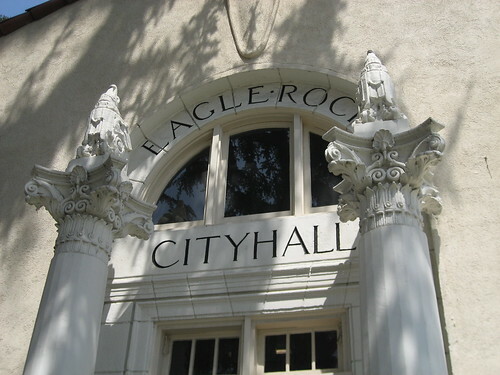 A year later, on March 27, by a majority of 297 votes, Eagle Rock residents voted in favor of becoming the first city to be acquired by Los Angeles through annexation. 1,917 Eagle Rockers cast their ballots. Hats off to the Cultural Heritage Board for making this a landmark back in 1969. However, take a look at the dedication plaque below. 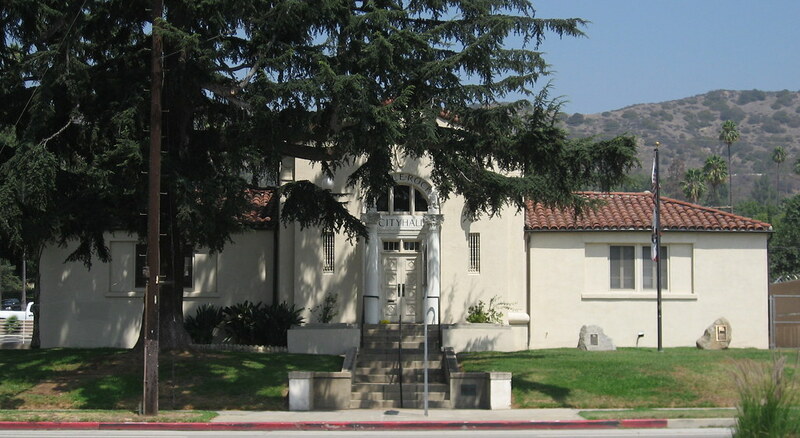 Example of Los Angeles City’s Absorption of Small Southland Communities. Ouch! It’s good to be recognized, but recognized for being a small fish gobbled up by a bigger fish? 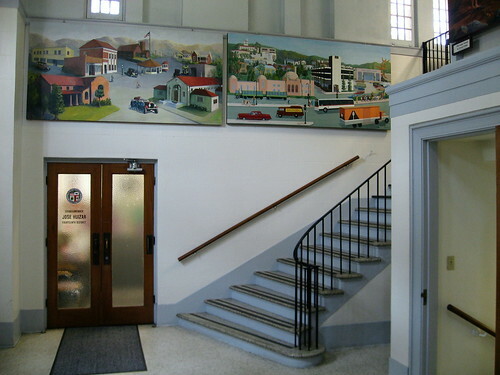 In the lobby, there are a series of five murals showing the history of Eagle Rock. The one facing you as you walk inside is by Concie Kibbe. 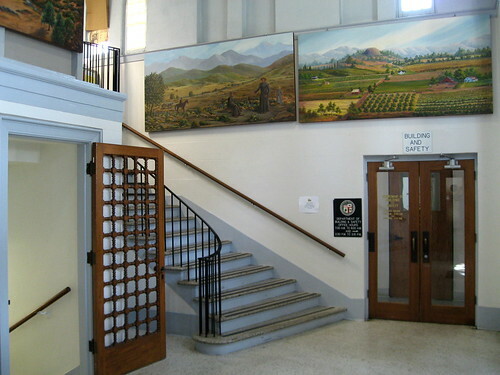 Over to your right, there are paintings by Marjorie Saron Moores and Jackie Carty. Then, towards you left, are murals by Liz Kerns and Kate Pedigo. 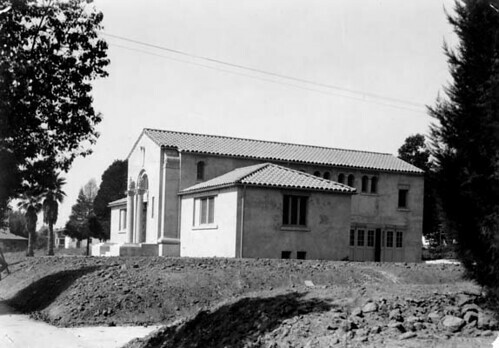 In 1971, the old City Hall was rededicated after refurbishing, with a big thanks to the Eagle Rock Valley Historical Society. 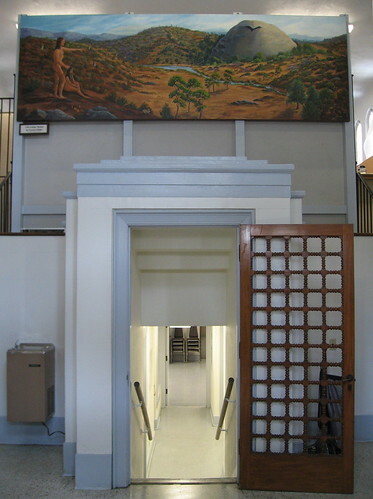 The building received a seismic upgrade and another rededication in 1994. A rerededication. The other in Veterans’ Day memorial from last year. 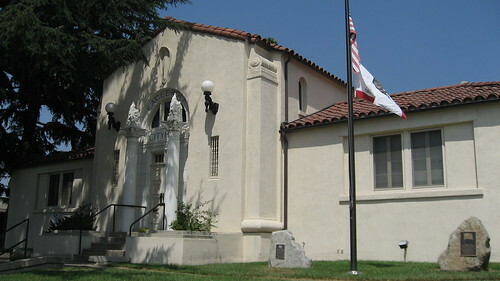 Today, Eagle Rock City Hall serves as headquarters for the city council member serving the 14th District, José Huizar. 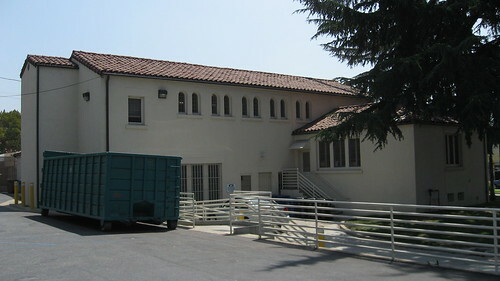 The building also houses an office for the Department of Building and Safety. 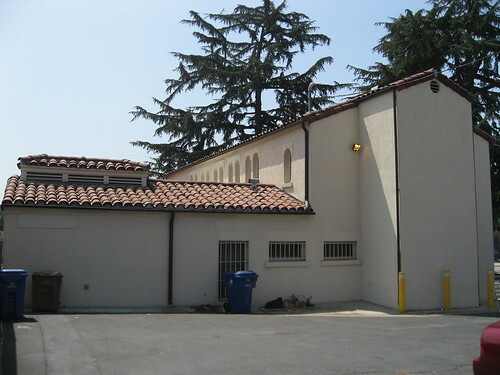 Community meetings are held here, too.